First Edition Travel Notes by Jessica Hogarth captures the sense of fun in adventure with its quirky & original repeat patterns. This papercraft collection will add to your wanderlust with its playful illustrations of sightseeing and globetrotting. 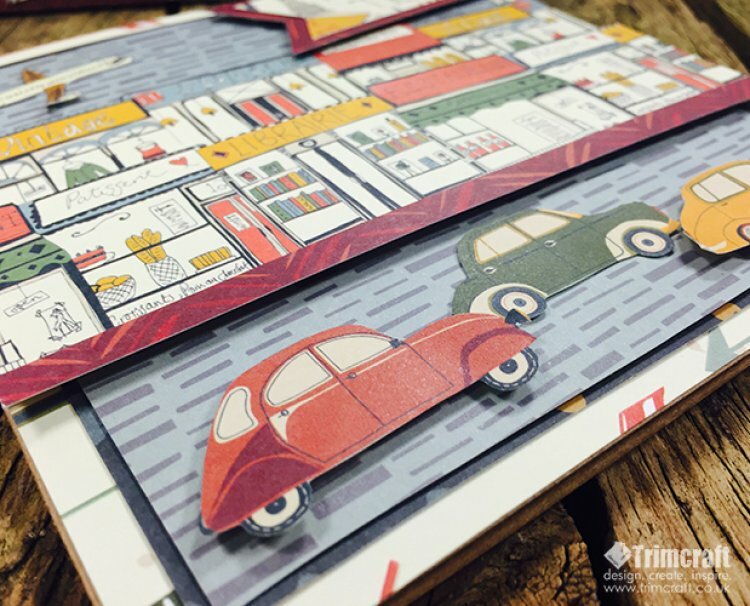 The newest First Edition papercraft collection is perfect for male themed projects with its delightful images of vintage transport and wistful travel icons combined with a retro colour palette. The delightful Travel Notes range includes paper pads and scrapbook albums and will be arriving into shops from early May. What do you think of the new collection? We would love to hear from you, comment below with your ideas. We can’t wait to show you more projects using this craft collection soon. Did you miss the sneak peek of our brand new First Edition Kaleidoscope paper collection last week? Learn more about the soulful and free spirited range here.